TEL AVIV, Israel – April 29, 2014 – New publisher Crazy Labs today released its latest game, Tip Tap Monsters, to entertain players of all ages and skill levels. A simple and addictive take on Mahjong, the mobile game features high quality graphics and an endearing cast of characters that you tap to make the right match. Click to breezy beats as you pair up fickle frankensteins, single-eyed sweethearts, and bespeckled beasts to make them smile. 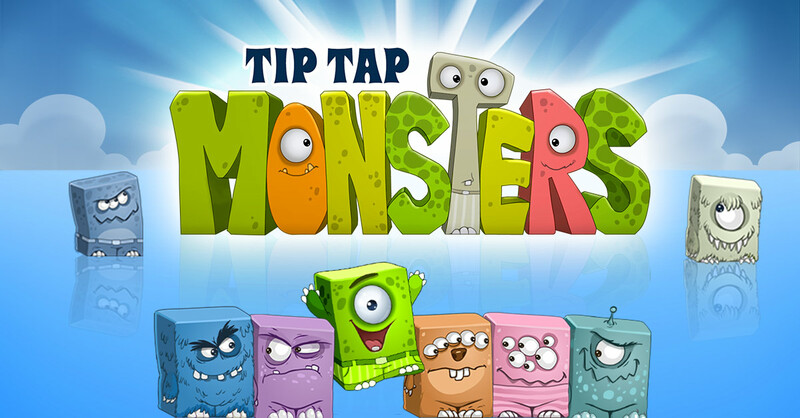 With a multitude of levels to play, all with unique layouts and varying background settings, Tip Tap Monsters offers a fun and casual playing experience that’s accessible yet challenging for all ages. The game is free-to-play and currently available to download on the Apple App Store. Tip Tap Monsters is a multi-level, single player game that requires you to pair off animated and cute-yet-cranky monster tiles in a timed game setting or relaxed zen mode. Earn stars and advance to increasingly complicated levels on Palm Beach, the Lost Islands, and other tropical locales. As the matches become more puzzling, the game becomes even harder to put down. With levels perfect for both kids and puzzle masters, Tip Tap is equally absorbing for casual players and game enthusiasts. Dozens of levels of varying intensity to master. Charming monsters with anywhere from one to six eyes. Four idyllic beach-themed backdrops to play on. Clean, simple interface for seamless playing. Crazy Labs is a new publishing brand of TabTale, a top 10 global publisher of mobile games by download volume. Crazy Labs was formed to publish interactive mobile games for older audiences, capitalizing on TabTale’s existing market success and expertise in the childrens apps market. Based in Tel Aviv, Israel, Crazy Labs partners with independent development studios across the globe to create engaging mobile content for audiences aged 13 and older, expanding the breadth and range of TabTale’s mobile offerings. TabTale is a developer and publisher of interactive games and educational apps for smartphones and tablets that kids and parents love. Currently the eighth largest mobile app publisher in the world with over 300 million downloads and 25 million monthly active users, Tabtale’s key franchises include Baby, Paint Sparkles, and Doctor X. The company was founded in 2010 and is headquartered in Tel Aviv, Israel with 130 employees across its offices in The United States of America, Macedonia, Ukraine, and Bulgaria. TabTale has raised a total of $13.5M in venture capital funding led by Qualcomm Ventures and Magma Venture Partners. The funding is being used to fuel app development, expand to new markets of older audiences, and solidify TabTale’s leadership position in the children’s mobile entertainment and education categories through M&A. To learn more about TabTale, visit www.tabtale.com.